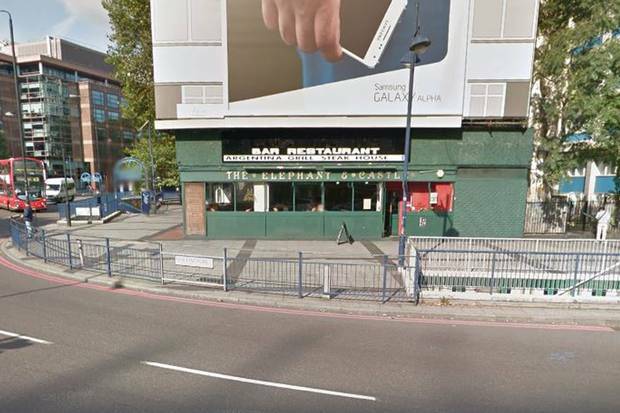 What is happening to the Elephant & Castle pub is an outrage. It's NOT the squatters in a commercial property that are the outrage. NO. The owner of the pub and Foxton's Estate Agents are angling to make this pub into an estate agent shop touting unaffordable homes to offshore companies owned by people who hang out in tax havens and have no intention of ever living in the properties they buy. That pub is a total GEM. It should be the centre of a thriving community not the start of the downward slide of the whole area into a blanded homogenised vile super wealthy upper middle class enclave of exclusive yuppiedom. It is an OUTRAGE! That pub is a precious thing. It MUST be preserved, reinvigorated and brought back into vibrant use AS A PUB! I've been a south east London publican for decades. I know the area well. I set up shop in Camberwell in 1995 when people told me: 'You are insane,' 'no one will go there' 'it's on the front line', 'there's NO MARKET DEMAND' 'you'll fail'. I BROKE good quality beer wine and food in south east London when the area was a catering wasteland. Six months later May 1996 saw my pub, The Sun and Doves as Time Out Runner Up Pub of the Year. Two years later we were runner up Evening Standard Best Pub of 2008 (Eros Award) and one of the busiest pubs in south London. I know the pub business well. I know what makes pubs tick and what makes them work for the people and the places they serve... I know a lot about good pubs and I know a lot about bad pubs: and I know fully there's no such thing as a bad pub, only a pub that's badly run. The Elephant and Castle pub is a potentially massive asset to the whole south east London area. It's at the gateway to south east London, it's iconic, steeped in sense of place and it should NEVER have been allowed to fall into the hands of people who let it slide into a being a shut pub. I don't know the details of the particular site but it's highly likely it was owned by one of the major asset stripping criminally badly run tied pubco's - Enterprise Inns, Punch Taverns, Admiral Taverns among others for the last twenty years or so; being run into the ground and the state it finds itself in now. The E&C is in a brilliant position, it has HUGE amounts of potential as a pub, this is a fantastic opportunity for it to be rejuvenated into a real Public House that's unusually fit for the 21st century. Where it is this pub could successfully appeal to ALL types of customer and be really financially successful. Diverse, exciting, multi faceted and wonderfully colourful, busy, friendly and fantastic! There is NO EXCUSE for it to stop being a pub, especially now the area is the focus for massive regeneration. A well organised, well run local pub with loads of local produce ales and beers backed up by great amenities and facilities and real proper south London pub entertainment would be a pivotal change for the whole area. Turning it into an estate agents is an irony beyond irony. The last thing this area needs is an estate agents. The properties will fly off the book from all over the world anyway. The only benefit of an estate agency in the middle here is that the staff won't have to break a sweat to get to their desk. Save this uniquely positioned pub and make it into a brilliant contemporary local and let it do what well run pubs are brilliant at ­and what Britain is best known for: make it A Public House for the world to remember, a community hub for Elephant and Castle where people of all backgrounds and outlooks can socialise together and meet cheek by jowl in great surroundings..
Good Communities NEED Good Pubs. Make this one the centre of Elephant and Castle's Future Community!